I hope you all are doing great! 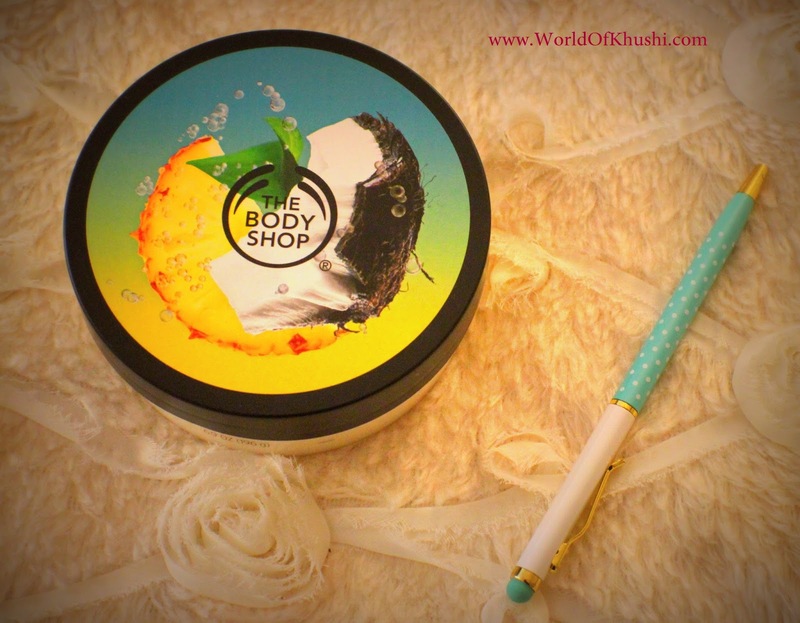 Today I am going to do a mini review of my current favorite Body Butters from Body Shop range. I have been using so many Body Butters from Body Shop & mostly like the Strawberry one but these two are new & must say they have become my favorite! 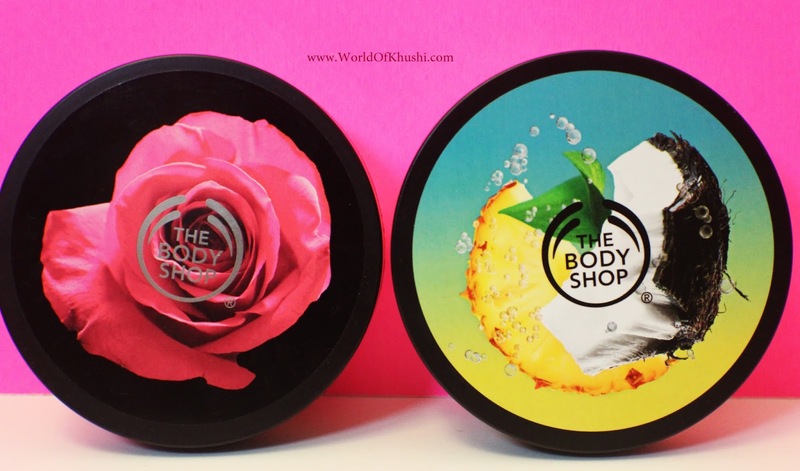 Today I am going to do a mini review of my current favorite Body Butters from Body Shop range. I have been using so many Body Butters from Body Shop & mostly like the Strawberry one but these two are new & must say they have become my favorite! I cannot stress enough that how much I love the smell of both of these body butters. These two are good for Summers but I can use them through out the year. Maybe because I love-love-love both Mangoes & Roses that's why I love the products. This Review is not as other regular reviews, it will be very crisp & short. 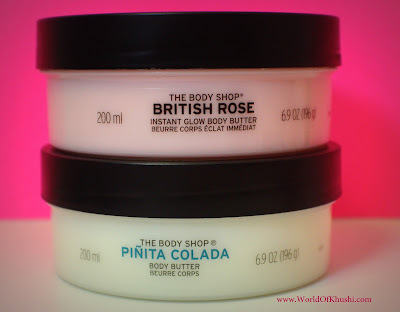 Lets start with THE BODY SHOP Piñita Colada Body Butter!! But frankly for me this one is the best Body Butter I have ever used. Brighten up your summer with The Body Shop Piñita Colada body care range. This irresistible summer scent evokes the aroma of freshly blended pineapple, coconut flakes and refreshing coconut water. 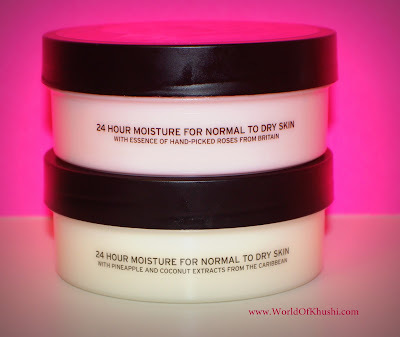 The lightweight textures will quench your skin with moisture and leave you feeling refreshed no matter what the weather. Turn your shower into a beach party with Piñita Colada Body Scrub. Blended with real shredded coconut this exotic exfoliator with a deliciously tropical scent helps reveal smoother, summer-ready skin. Apply onto damp skin in a circular motion, then rinse thoroughly. For best results use 2-3 times a week. 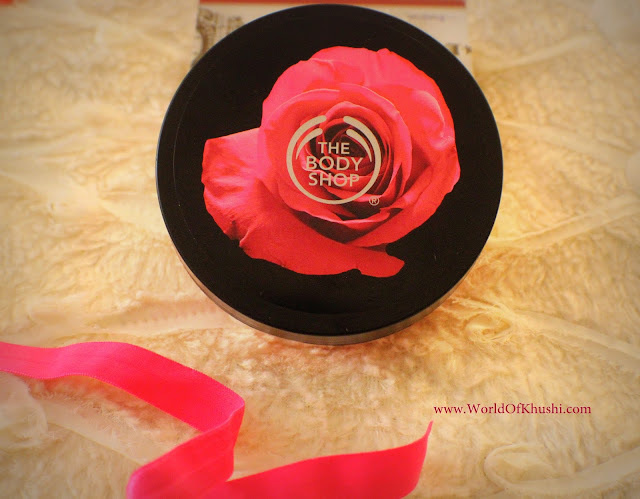 Now time to talk about THE BODY SHOP British Rose Instant Glow Body Butter!! This smells just like fresh Rose flower. If you like floral scent you will like this product. The product says it gives Instant Glow which I didn't see. But! Yep!! It gives a healthy sheen to my body. 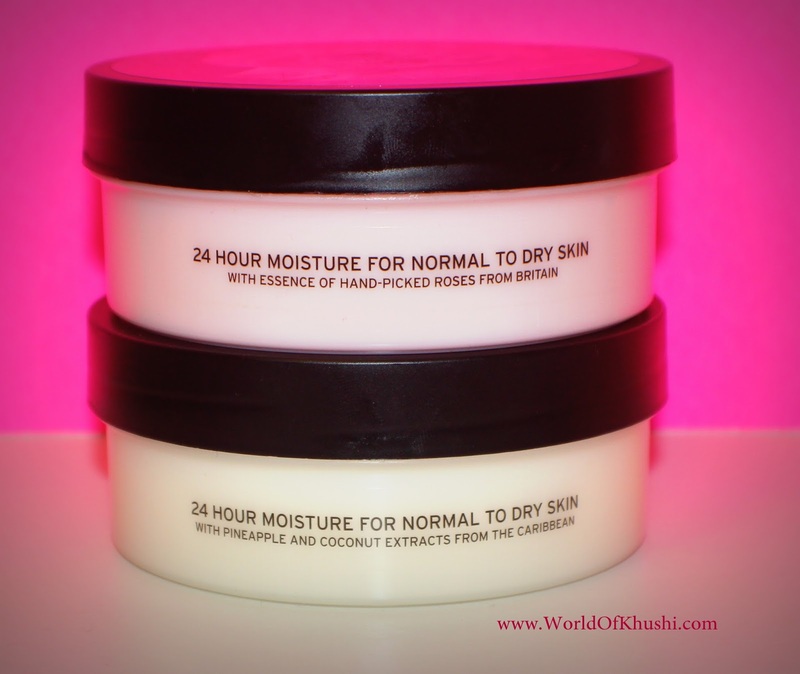 For me it's just like regular Body Butter which is thick in consistency & moisturizes your body. It smell great too! Indulge in dewy hydration with The Body Shop British Rose Instant Glow Body Butter with glow enhancing rose essence. Beautifully pearlescent, this velvety-soft moisturizer is light to the touch but rich on moisture. Non-sticky and perfect for normal to dry skin, formulated with light reflecting pearls to give you an instant all-over healthy looking glow, and subtly scented skin thats hydrated for up to 24 hours. The Body Shop's beautiful roses are grown organically on a farm in Herefordshire, where they are infused in fresh mountain water to create our pure rose essence. This environmental, award-winning farm enriches the biodiversity of the local area, providing a welcome habitat for a variety of plants, insects and small mammals. 5. Smells Great. Love it! 6. Softens & Bouncy Skin. 7. Packing is good & colorful. Cute! 9. Smell gives you spa feeling at home. 10. No reapplying is needed. 1. The scent does not last through-out the day. Normally 5-6 hrs this will stay! 2. Don't over apply this otherwise it becomes greasy. 4. The Jar is pretty big to carry while traveling. If you like floral & tropical smell you will love this product. I like to give it 4.6/5 . I hope you like it. This works for me, let me know guys if you try this product & like it or not. I love to read your reviews too. Take Care Guys!! Stay tuned with Khushi's World for more such Reviews. If you guys want me to do any Review of your choice then do let me know!! Do like the post & share it with everyone. 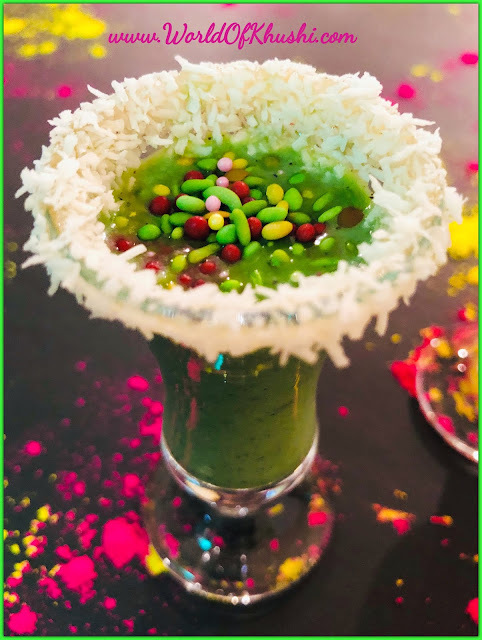 Follow me on Khushi's World FacebookPage, Google+ , Instagram and Pinterest for more Posts.I will see you in next post till then take care.